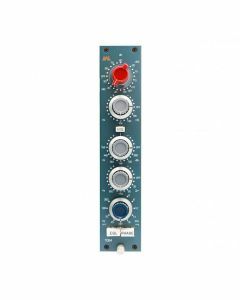 Introducing the vintage neve style BAE 1084 Microphone Preamplifier and Equaliser Module. The BAE 1084 is authentic as you can get to the original, featuring the same St Ives (Carnhill) transformers as the vintage modules, Elma switches and Canford wire. The BAE 1084 is as authentic as you can get to the original, featuring the same St Ives (Carnhill) transformers as the vintage modules, Elma switches and Canford wire. The BAE 1084 Mic Pre / EQ Module looks identical to the original vintage module and will happily retrofit in vintage Neve 80 Series consoles because the entire product is engineered in exactly the same way as the originals: the same chassis construction, connectors, printed circuit board layouts, hand-wired looms, and circuitry. Mid Range: +/-12dB or +/-18dB peaking with switchable 'High Q', selectable centre frequencies of 0.36kHz, 0.7kHz, 1.6kHz, 3.2kHz, 4.8kHz & 7.2kHz.